Why a great PR campaign is like a pop song. This is going to be one of those blog posts that you shouldn’t judge by its title. Or maybe you should, depending on whether you’re a fan of pop music or not. 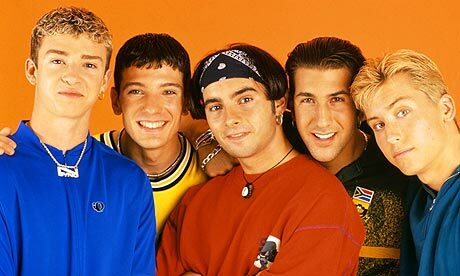 It dawned on me over the weekend, as I was treating myself to a nineties-music marathon (think Backstreet Boys, N’Sync and Hanson…I am not ashamed), that there a number of similarities between a catchy, cheesy pop song and a successful PR campaign. Don’t see where I’m going with this? Let me break it down for you. Pick your favourite pop song. Now, sing the very first verse (in your head, preferably). What does it tell you? More often than not, it sets the scene. You are able to pick up on the direction of the song – it’s theme, genre, whether Pitbull is likely to make an appearance…the list goes on. A great media plan should do the same thing. It should give enough context into the particular campaign – the strategy, outputs and measurements – without challenging War and Peace. A good media plan is clear, catchy and concise. The bridge is the repetitive part of the song that comes right before the chorus. The bridge is generally the song’s underlying theme. You won’t be able to quite put your finger on it, but if the bridge isn’t there in the song, it just doesn’t sound right. The bridge brings the song together. In a good PR campaign, this is the strategic direction of the campaign. Great PR is nothing without strategy. Take strategy away, and you have an empty campaign. Choruses are all about repetition. In a good pop song the chorus is catchy, and makes you want to sing along (Mmm Bop anyone?). It takes the bridge to the next level, and expresses the artist’s key purpose for singing the song in the first place. This is your key messaging. Key messaging is the lifeblood of a great PR campaign. If you don’t have your key messaging organised, you don’t have a story. If you don’t have a story, you definitely don’t have an audience! A great chorus is what makes the song. Key messaging is what makes the PR campaign. The clearer and catchier you make your key messaging, the more likely a journalist or your target audience will take interest in what you have to say. Verse Two is all about supporting the song. Without Verse Two, the song ends too quickly and listeners lose interest. A great Verse Two progresses the themes in Verse One, and leads into the bridge and second chorus. This is campaign implementation. It could be a simple press release, or you could be managing a giant experiential marketing campaign. To be successful, the implementation must support the media plan and strategic direction, and be backed up by the key messaging. Now’s the time to bring out the ‘lalalas’ (promotional activity), high notes (growth in online presence) and maybe even a guitar solo (activation or launch event). Good pop songs leave you wanting more. They stick in your head and make you want to sing them at the next office karaoke night. A good PR campaign will do the same. If projected ROI is met, the campaign leaves the client singing your praises and asking for an encore. The target audience will be humming along to your tune and journalists will be belting out your song to anyone who listens. Now, and only now, is the time to take your bow.